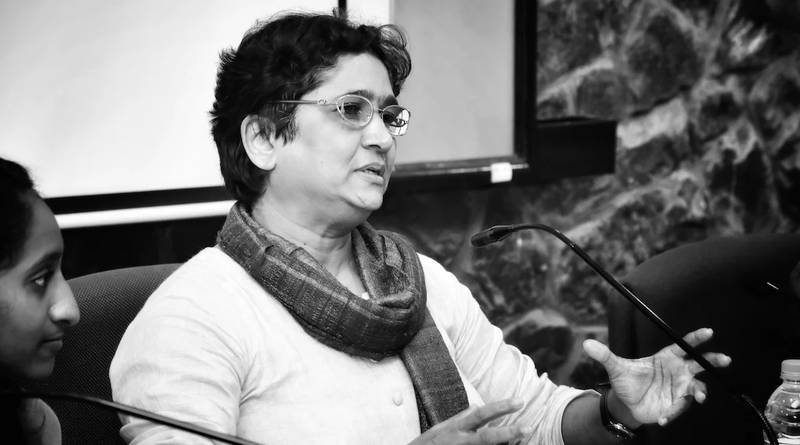 Over the past three decades, Sujata Khandekar has led one of the country’s foremost organisations in grassroots leadership and activism: Community of Resource Organisations, or CORO. Under her leadership, CORO has grown from working on adult literacy in Mumbai’s slums, to a resource organisation on gender and grassroots leadership development. It now focuses on integrated community development, in particular, addressing issues identified by the community itself. Today, CORO runs a programme on domestic violence specifically focused on changing social norms that perpetuate and justify violence against women. It also works on child rights within school and community settings, and has developed a model programme on grassroots leadership development. In this interview with IDR, Sujata speaks about CORO’s evolution, how the process of empowerment within marginalised communities unfolds, and what it takes to be truly participatory. How did your journey with CORO start? CORO was formed in 1989, its origins rooted in the adult literacy movement of the time. The Government of India had just launched the National Literacy Mission, which aimed to impart functional literacy to all non-literate people aged 15-35 years. Many CORO founders came from privileged backgrounds; we were in many ways, ‘outsiders’. Seven social organisations came together at the time with a view to mobilise marginalised people to solve their own issues with adult literacy as the foundation. This was how CORO came to life, becoming a committee with representatives from each of its constituent organisations. Many CORO founders came from privileged backgrounds; employed and well-educated, we were in many ways, ‘outsiders’. As a junior engineer in the Maharashtra State Electricity Board (MSEB), I was deputed to CORO by the Secretary Education, Government of Maharashtra and I joined it as the volunteer representative from two organisations, Stree Mukti Sanghatana—which worked on empowerment of women and Yuva Shakti Pratishthan— which fought for low-cost, clean food for all. Literacy-related work was a big teacher, personally and organisationally. Coming from a middle class, Brahmin background, I had a stereotypical understanding of low income communities, crudely labelling them as ‘slums’. One either hates people living in these communities or pities their conditions, but there’s never a sense of equality or connectedness with them. In my mind, I had gone to the community to help them, to teach them. The ‘I’ was prominent. But through CORO, I learnt about human life, human nature, social structures, and social change. My work has since impacted the way I perceive, feel, think, express, connect, and analyse; and I had to work a lot on myself over the years. Organisationally, the work taught us about why and when interventions become relevant to people’s lives and priorities, why and how people ‘own’ processes of development, and what it means to be participatory. So how did CORO’s work evolve? Why did it become women-centric? Women from the community were largely non-literate; and unlike men, they did not hesitate to admit it. So, we started working more with them. Women from the community were largely non-literate; and unlike men, they did not hesitate to admit it. But this wasn’t the only reason. Many of CORO’s founders came from the women’s movement. Plus, women from the community consistently pushed us, bringing forth their issues and priorities, almost demanding solutions. They spoke about everything from the kinds of violence inflicted upon them, to their health issues, to unsafe and unclean toilets. In the process of trying to find solutions with them, CORO became increasingly women-centric. I remember early on, each time I saw a woman being beaten by a drunk husband, I would think, “why is she not walking out of this marriage?” It was through my immersion in CORO that I began to understand that such alternatives did not exist for most of these women. The ‘cure’ in their case was ‘costlier than the ailment’. There were many turning points, but I distinctly remember two in the early 1990s. The first was when CORO helped the community access the public distribution system. Most government-licensed shops for rations are run by private shop-owners. And because many are protected by the local mafia and political parties, they wield a lot of power. Nobody dares defy them. Women in CORO’s work area of Chembur-Trombay in Mumbai had many grievances against this system. They also felt helpless because there was no redressal mechanism. We realised that as required by the law, every ration shop had a complaint book, which could be accessed at any time by its customers. Within 15 days of any complaint being lodged, the designated officer had to inform you about what action they had taken. This bore a strong connection to literacy, because writing a complaint needed writing skills, and so we saw this as an opportunity. It made women realise their power, and the power of their words. All of a sudden, literacy didn’t seem so irrelevant anymore. The women in the area had 24 types of grievances around the quality of commodities, mechanisms for obtaining them, and shop-owner behaviour. So, we set aside the government-issued literacy kits and designed our own; the first lesson was on how to write wheat – gehu. Then sugar, then kerosene, and so on. We structured our literacy programme around this kit, and encouraged and mobilised women to go in groups and lodge complaints. What came next was magical. When women, en masse, started writing complaints, shop owners began pleading with them to rescind them, offering in exchange a 15 day advance of kerosene supply. This was pivotal; it made women realise their power, and the power of their words. All of a sudden, literacy didn’t seem so irrelevant anymore. The second turning point came at a time when CORO was struggling financially. With no funding in sight, I held a meeting with our community organisers (all women) and told them to join other organisations, for CORO could no longer afford to pay the INR 1,200 we were offering as honorarium, and most of these women were the sole earners in their families. I assured them that if CORO received any funding, they would be the first to be invited to re-join. I admitted my inadequacy as the leader of the organisation. The next morning my doorbell rang at 8.00 AM. At my doorstep stood my friend and colleague, one of CORO’s community organisers, Sagar More. After coming into my home, Sagar’s husband, who had accompanied her, handed me INR 20,000 in cash. “Sagar told me about your meeting yesterday”, he said. “I have this much money with me and I think CORO needs it at this time. You can return it when you receive funds”. Sagar was standing beside him with tearful eyes. The couple had sold a small piece of land in their village to build pucca walls (brick walls) for their hut, which was currently made of tin sheets with holes everywhere. This was the money they gave us. Thankfully, CORO got funding a few months later, and in the interim, the team worked for free. Both of these experiences encouraged CORO to do what we do today. It also enlightened me on what grassroots work entails. In addition, it clarified some key lessons for us. First was that people will not actively and emotionally participate in an intervention unless it has relevance to their lives and their strengths. The second debunked the notion that ‘poor people are lazy and don’t want to change’. They want to change, but don’t know how. They need information and hand-holding. Our only role was to give women tools and words, and suggest that using them might offer some respite. It was the women who fought for their rights. Third, community people don’t act out of fear and helplessness. They gather courage by coming together. Collective risk is both possible and incredibly powerful, because nobody’s fighting alone. CORO merely instilled in them a sense of hope and helped facilitate their efforts. Doing so revealed for us the crux of building ownership of the social change process. The initiative for change has to come from ‘within’–within a person, and within the community. And the mental shift from being a victim to being a changemaker is crucial in the social change process. Enhancing inner strength of a person or a community is more important than external or material supports. Was that then the beginning of your work on grassroots leadership building? How did your work grow? Can you speak about ‘organic leadership’ at CORO? We saw early on that people at the grassroots were the changemakers. But ‘beneficiaries’—as we call them—are never recognised as such. We wanted to shift this paradigm. Today, CORO has evolved to be community-led. Barring me and one or two others, every team member is from the community. This is CORO’s strength, and the reason why our impact is sustainable and different. Mahendra Rokade, a volunteer from 1989 is our programme director now. Pallavi Palav, our accounts assistant from 1992 is our treasurer on the board of trustees today. Mumtaz Shaikh, who joined CORO in 2000 for redressal of her domestic violence, featured in BBC’s list of 100 most influential women in 2015. People have stayed with the organisation for close to 28 years, largely because our programme is homegrown, with people at the grassroots having designed and implemented it themselves. Seeing this evolution, we asked ourselves: why are people at the grassroots not seen as leaders? That’s when we began a fellowship to develop grassroots leadership from within the community. The experience has taught us some fundamental lessons about identity and empowerment. A big challenge is when people accept discrimination/oppression as part of ‘fate’. In marginalised communities, people are discriminated against on the basis of caste, class and gender, amongst other factors. A big challenge is when people accept discrimination or oppression as part of their ‘fate’. Socialisation teaches us that ’things will not change for me; I cannot express, I cannot resist, my existence has no meaning. And if my existence has no meaning, I accept everything as part of my fate’. This leads to a fractured sense of identity, despair and helplessness. But, when identity gets triggered, and people feel worthy, they believe they can effect change. A sense of one’s own identity is closely related to empowerment, and this is true not just for women. Empowerment is about recognising one’s own ‘power within’. It is also about how comfortable I am with my identity. It’s important to recognise one’s disempowerment. Without this, it’s impossible to embark on an empowerment journey, which requires reflection, patience, and process. Unfortunately today in our haste of calling outputs impact (due to the obsession with measurement), we tend to equate empowerment with proxy indicators, most of which are rudimentary external manifestations of a process that is entirely internal. For instance, how many women are in SHGs, how many are accessing healthcare services, how many girls are in school, and so on. These are not indicators of empowerment at all. Solidarity is the biggest asset of marginalised people. Individuals alone cannot make a difference, but together, they can. We saw this time and again with our work supporting people to access their rights. We need strong, ‘nearest’ ecosystems, for changing our near environment. This is why our fellowship, through critical reflection, acts first on the inner space, and then helps individuals understand their context. It’s a very simple trick: keep asking the question ‘why?’ to every answer, until you get to the root. In the process fellows build their nearest ecosystem, in the family, organisation, and community. Where is the grassroots leadership programme today? We have run the fellowship programme—Quest—in Maharashtra for the last 10 years, and Rajasthan for the last three. We have also had one cohort in Delhi, NCR. We’ve worked with more than 280 nonprofits and community based organisations (CBOs) across these states, with participation from more than 1,300 grassroots leaders. After the fellowship year, the leaders, their mentors and organisations collectively initiate campaigns in their communities, all of which are incubated by CORO. Empowerment is about recognising one’s own ‘power within’. It is also about how comfortable I am with my identity. For instance, Mumbai fellows launched the ‘Right to Pee’ campaign for demanding clean, safe and free urinals for women in public spaces; in Vidarbha the campaign is about seeking community forest rights; in Marathwada it’s about single women’s rights; in western Maharashtra it is about water-related interventions in drought-prone villages. All campaigns are led by grassroots leaders, 68 percent of whom are women; a majority being from Scheduled Caste, tribal, Muslim, and OBC communities. So, what’s next for CORO? We are keen to use our experience with the grassroots leadership development programme as a foundation for a national grassroots centre that aims at shifting power dynamics in favour of the grassroots, primarily in leadership, in organisation building, and in knowledge building. Now that we have developed a proven mechanism for building grassroots leadership, and in leading issue-specific change in communities, the next frontier for us is striving for thought leadership that comes from the grassroots. Sangeeta Menon contributed to this interview. Smarinita is Co-founder and CEO at IDR. She has more than 20 years of experience leading functions across strategy, operations, sales and business development, largely in startup environments within corporates and social enterprises. Prior to IDR, Smarinita worked at Dasra, Monitor Inclusive Markets (now FSG), JP Morgan and The Economic Times. She also co-founded Netscribes–India’s first knowledge process outsourcing firm. Her work and opinion have been featured in The Economist, Times of India, Mint and The Economic Times. Smarinita has a BE in Computer Engineering and an MBA in Finance, both from Mumbai University.